On Friday, 25 January 2019, the legal sector was jolted by the news that President Muhammad Buhari had suspended the Chief Justice of Nigeria, Justice Walter Onnoghen and immediately replaced him with Justice Tanko Muhammed as the Acting Chief Justice of Nigeria. The International Federation of Women Lawyers (FIDA) Nigeria expressly condemns this unconstitutional act by the President and notes that this is a move which signals a total disrespect for the Rule of Law and in turn the fundamental rights of the citizenry. This is not only distressing, it is absolutely objectionable. Immediately after the act, President Buhari explained in a 25-paragraph speech that he was complying with an order made ex-parte by the Code of Conduct Tribunal (CCT), which was dated the 23rd day of January 2019. In paragraph 10 of the speech, the President noted that “Nigeria is a constitutional democracy, and no one must be, or be seen to be, above the law.” Yet, it is contended that the very reason the President relies on as a motive for the swift suspension of the Chief Justice of Nigeria (CJN), is what he essentially has disregarded. By undermining and contravening the provisions of S292 and paragraph 21(b) of Part 1 of the Third Schedule to the Constitution of the Federal Republic of Nigeria, 1999 (as amended) on the process for removal (temporary or permanent) of the CJN, President Buhari can be said to be acting above the law. In August 2018, at the opening ceremony of the Annual General Conference of the Nigerian Bar Association, President Buhari made a remark that shook the nation, when he said that “the Rule of Law must be subjected to the supremacy of the nation’s security and national interest”. That statement gave a deep insight into the flawed governing strategy applied by the President and the Federal Executive Council. The President’s suspension of the CJN is a clear example of this flawed governing strategy. Respect for Rule of Law and protection of the fundamental rights of the citizenry is the foundation of any democratic society, and so issues of national interest must be dealt with in accordance with the Rule of Law, and with due regard for fundamental Rights. 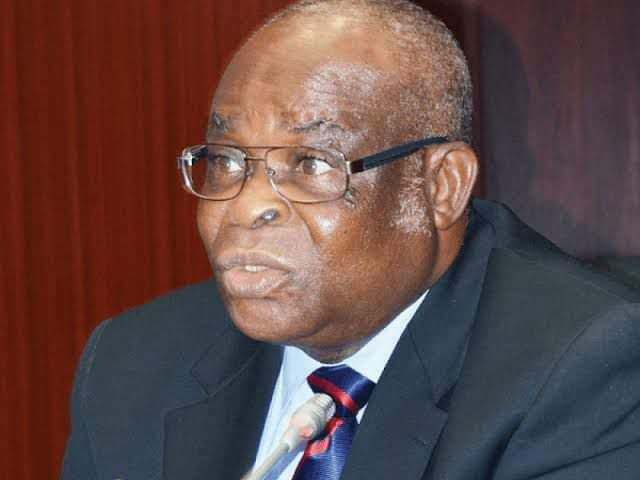 The curious speed and timing of the progress of the Tribunal trial of Justice Onnoghen suggests a coup against the judicial arm of government and an attack on the independence and integrity of the Judiciary. The law is expressly clear on how the CJN can be removed from office and neither the Code of Conduct Bureau nor the Code of Conduct Tribunal are vested with that power. Due process for the removal of the CJN is by recommendation of the National Judicial Council, followed by an address presented to the Senate of the Federal Republic of Nigeria, which then requires approval by a two-thirds majority vote. No aspect of this process was followed and this confirms neglect for due process and the Separation of Powers which the Constitution so clearly provides for and guarantees. Furthermore, the President can be seen to be acting against court orders from the Court of Appeal and the Federal High Court which he ought to be aware of, and this is deeply distressing. If the President can be seen to foster the culture of impunity which is already so entrenched in the Nigerian society, where then is the hope for regular citizens that the legal system can be entrusted? Where is the hope that the right to a fair hearing will be enforced and secured? How can the government maintain its authority to demand that its citizens comply with the Constitution if it does not do so itself? There are so many questions to ask in this sorry saga. If the Federal Government is really a respecter of the Rule of Law, then it should also respect due process of the law, and it should show Nigerians this by immediately complying with all valid and subsisting Orders of court made against the Federal Government. If the government seeks to fight corruption, then due process ought to be followed, and a lack of due process indicates an abuse of power and sets a very dangerous precedent. The President should not be seen to be acting above the law and fostering the culture of impunity. The suspension of Justice Onnoghen ridicules and reduces the integrity and high status of the third arm of government which is the Judiciary…the last hope of the common man. Where impunity reigns, abuse is commonplace and the women and children who are typically the most vulnerable in society suffer most. FIDA Nigeria therefore calls for the immediate withdrawal of the suspension of the Hon. Justice Onnoghen, the Chief Justice of Nigeria, in order to avoid further crippling the independence and effectiveness of the Judiciary. President Buhari not only risks the credibility of the upcoming general elections in Nigeria, but also demeans the legal profession and risks damaging the reputation of Nigeria in the international community.